i love the fluffy, cozy vibe of this bedroom. it combines homey with clean. andrew and i are working with a fairly elaborate headboard, and we have opted for white bedding. add a leaner mirror, and this room would be my oasis. going with neutral basics allows for so much versatility. get tired of it? switch out your throw pillows! i love the trina turk ones below. 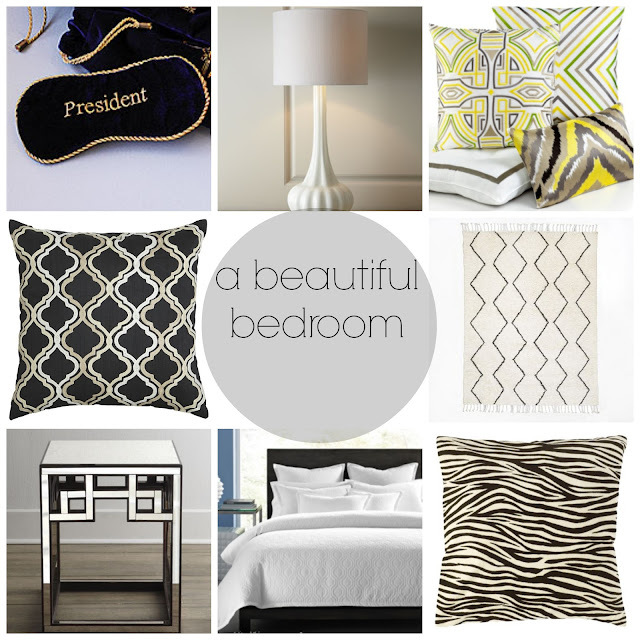 and our exact bedding is the one in this collage. Love the first bedroom...looks very comfy. Lovely rooms, I would be very happy if I had a room like these.